Move over grease-laden, deep-fried donuts… this no-bake version is my go to fix. 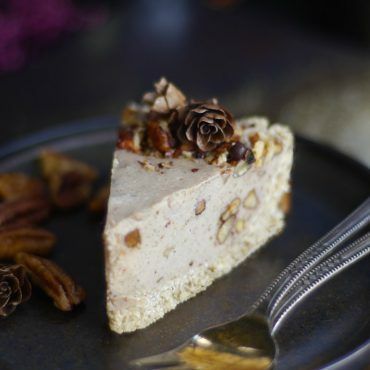 Especially this time of year when foodie temptations are at their max and we’re likely being more naughty than usual already with our choices… (guilty, I fess up!). So actually, these aren’t exactly “donut” holes. But they are yummy, and they taste the part (especially the chocolate ones), and look the look, so “donut holes” I dub them. But I use each opportunity as a learning curve. And always try to salvage the not-quite-there-but-there’s-something-to-’em botched experiments and make the most out of them. Especially, since ingredients don’t always come easy, and are often pricey too, so I try and put them to good use as best as possible. 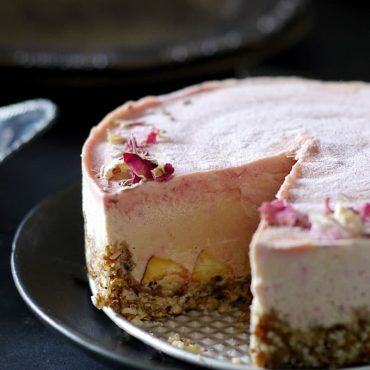 The not-so-great cookies often become a crumble, or form a part of the next cheesecake crust (just grind them up / crush them up and use straight away or freeze for later use). 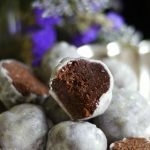 The so-so muffins, quick breads, and cakes tend to become “cake balls”, “brownie bites” to add to ice creams or my breakfast bowl, “cake pops”, and often donut holes! And finally getting to the point here… those “donut holes” are what I actually wanted to share with you today. This is my all-time favorite way to salvage the nearly-there cakes or baked goods. Just break them up into even size lumps, roll them into a ball with your hands, dip in a magically simple 2-ingredient glaze, and voila! An entire dessert made up of stuff that nearly landed in the garbage ? Rescue mission accomplished. Note: if your cake / baked treat failed because it’s too dry (too dry to even roll into a ball) or is not flavored right or just needs an extra little flavor fix, you can always toss it into a food processor and add a touch of water / plant milk / coconut oil / maple syrup (pick your “liquid” here), and a touch more flavor (be it more sweetness, some cinnamon, more vanilla, etc. ), process briefly to combine and get those balls rolling. Of course, to make these glazed bites, a burnt and broken cake is not required ?. 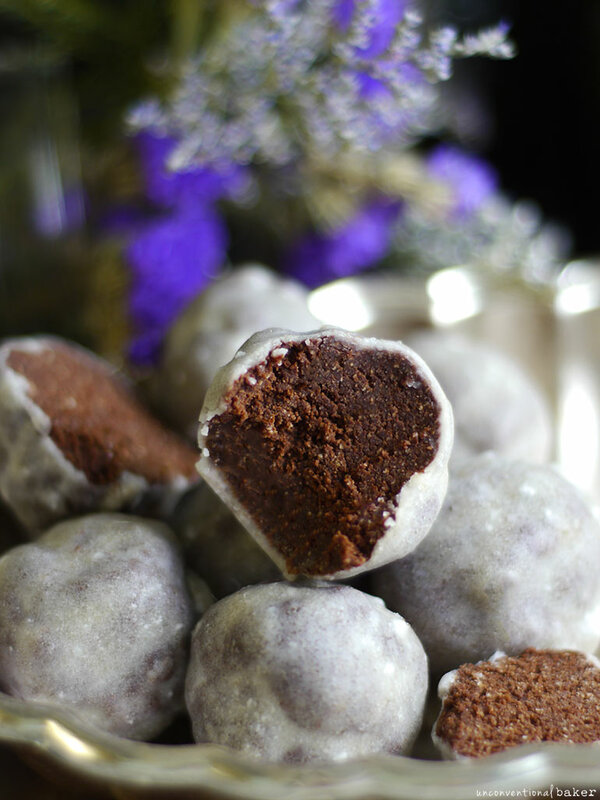 But that is how I ended up making these donut holes the first time around: made a chocolate cake that was a bit too dry for my liking, but sort of borderline and kind of yummy despite the dryness. Turned it into little dessert bites and glazed them, and the glaze added the perfect layer of moisture. I served them to my guests instead of the cake and everyone loved them. 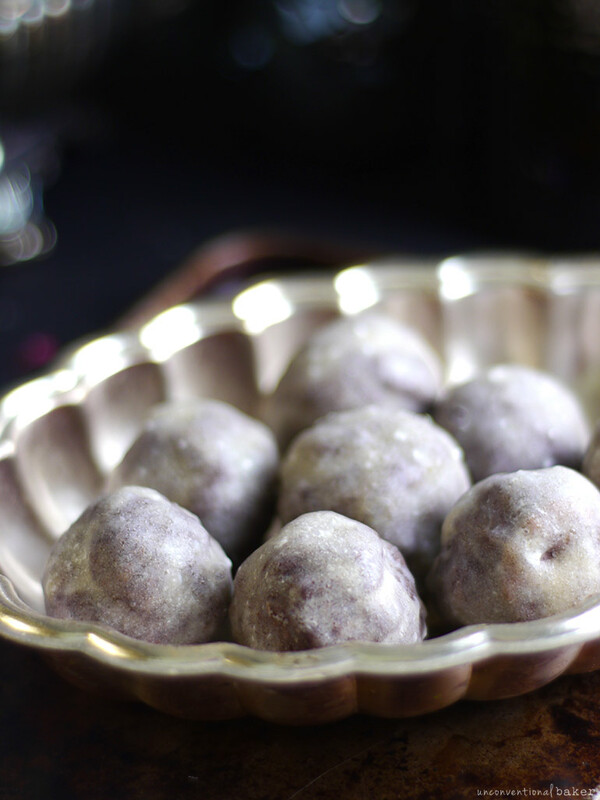 No-bake gluten-free donut holes are the perfect way to salvage baking disasters! When your vegan cake/ cookies/ muffins don’t turn out, use this recipe. So good! 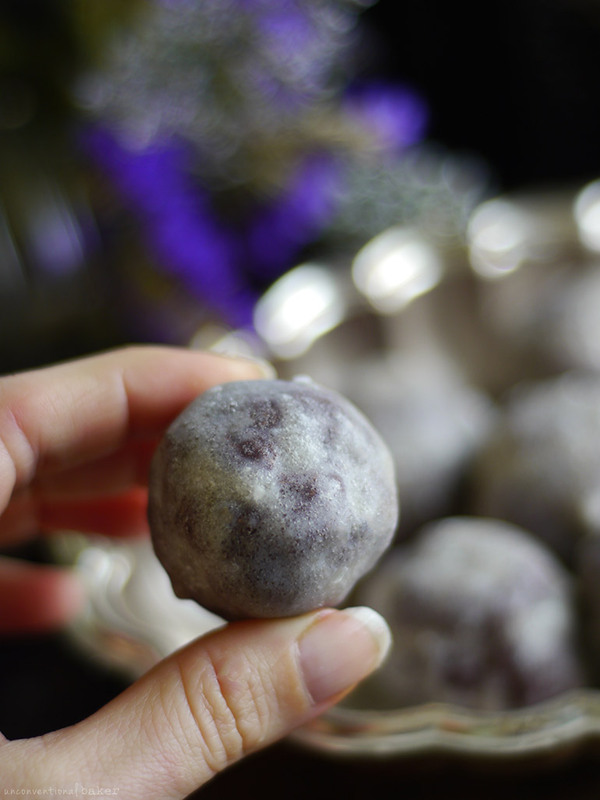 Use a failed cake recipe (as per notes above), or make a batch of these brownie bites or these blueberry coconut balls. 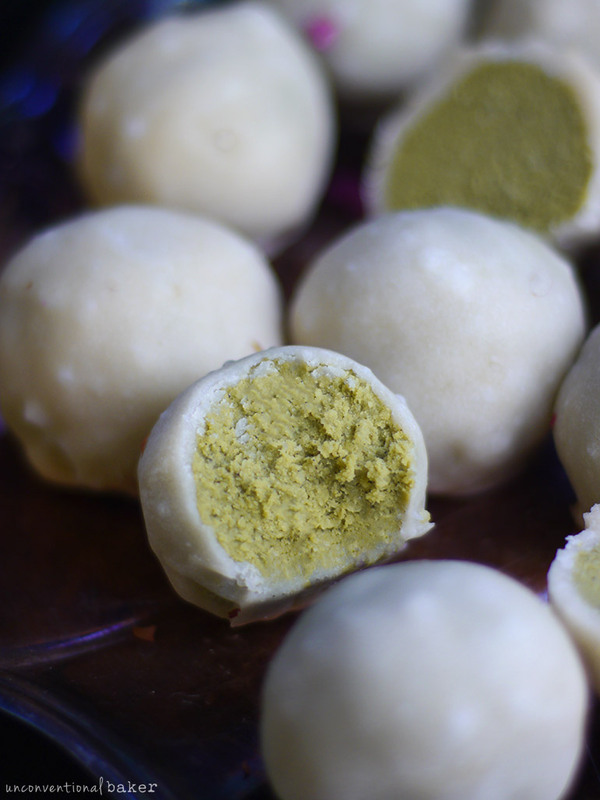 Roll your cake into balls (or prepare bliss balls as per recipes above). Set them up on a tray lined with parchment paper and freeze for 30 mins – 1 hour (ideally use a metal tray / small metal baking sheet as it will chill more thoroughly and make the next steps more efficient). 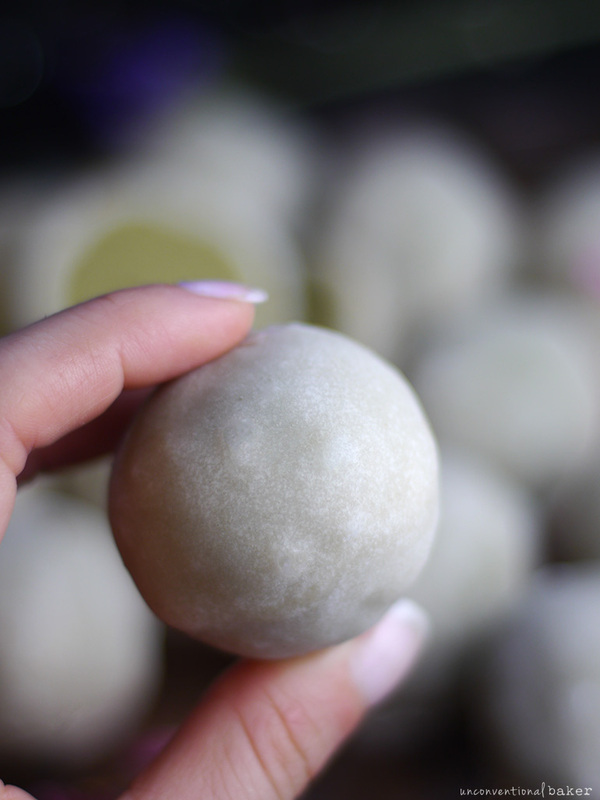 The balls should be cold to the touch in order for the glaze to set properly. When ready to glaze, prepare the glaze by mixing the glaze ingredients in a small bowl with a fork until combined (see notes below regarding the right coconut oil consistency first). For glazing, remove the tray from the freezer. Place a ball on the surface of a fork and dunk into the glaze, roll around to coat. Lift the ball out, wiping the bottom of the fork tines on the edge of the bowl to remove excess glaze from the ball (see notes), and set the glazed ball back on the chilled parchment-lined tray. Repeat with the remaining balls. Note, if you’ve got a large batch to work through, you may want to separate the balls onto several metal trays and keep them frozen, with the exception of the batch you are working with to ensure the glaze sets easily (the glaze sets when it comes into contact with cold). Once you’re finished glazing all the balls, return the trays to the freezer for 20 mins to fully set. If you’d like a thicker glaze, you can double glaze them at this point by repeating the process. Enjoy! Keep leftovers refrigerated or frozen. *The coconut oil needs to be at the right consistency for the recipe to work. It has to be softened, but not melted or hot in any way. If it’s fully melted (i.e. a runny liquid), it will separate from the maple syrup as you try to mix. The correct color should be white (not clear), and the texture should resemble applesauce (not thin like a cooking oil). ** If you need more tips on how to wipe off excess glaze from your balls most efficiently, without spoiling the look of the balls, there’s a video demo available in the Unconventional Treats book & video pack. *** Note: the basic premise in this recipe is that the glaze sets when it comes into contact with something cold (because coconut oil gets liquid when hot and solid when chilled). This is the reason for freezing the balls first. 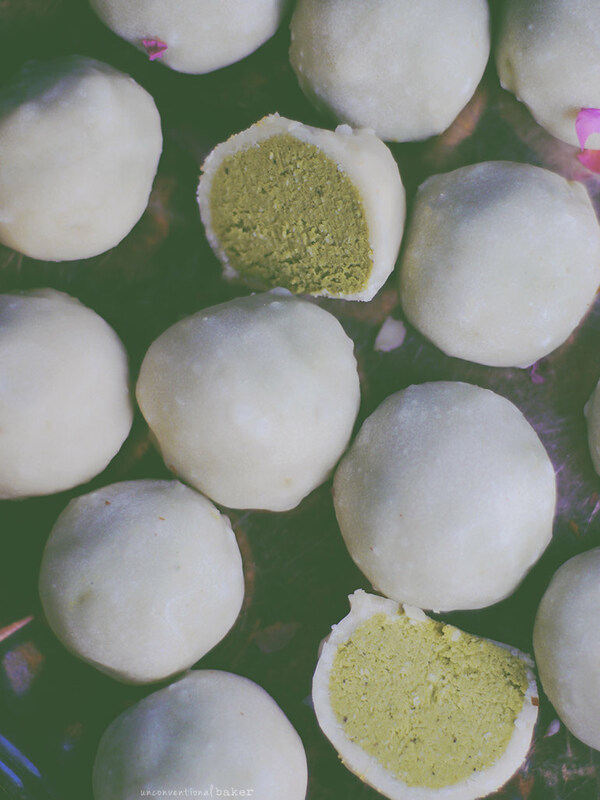 Likewise, having a chilled tray to set the glazed balls on helps the glaze not to spread out onto the tray, but instead set upon contact with the cold tray. Having the tray lined with parchment paper first will ensure an easy separation from the tray. This idea is genius!! It really makes ‘new cake recipes’ less stressful to try when you know you can always turn it into something delicious anyway! Also glaze is my favorite kind of ‘frosting’ for donuts yum yum! I really appreciate the notes! They let me know why we are doing things the way we are- really helpful. I looooove these! Thank you so much for all of your delicious allergy friendly treats. I have made so many, not only for myself, but friends and family. You are amazing! From what you have made these green balls? Pistachio? Hi Ugne. It was a matcha coconut cake, but it came out a little too mushy :) Pistachio would be delicious though. Whoa, this is not just a recipe but like a food-blogger-fail-but-don’t-waste-food game changer!!! I have made 5 trials of one cake this week, so I was in dire need of a way to creatively “repackage” some leftovers? These would’ve been perfect–next time!! And with the glaze they really do look identical to donut holes? Hehe. Well, I’m sure you found your own creative ways to repackage your cake too… somehow I have a feeling they ended up in a jar of nice cream ?